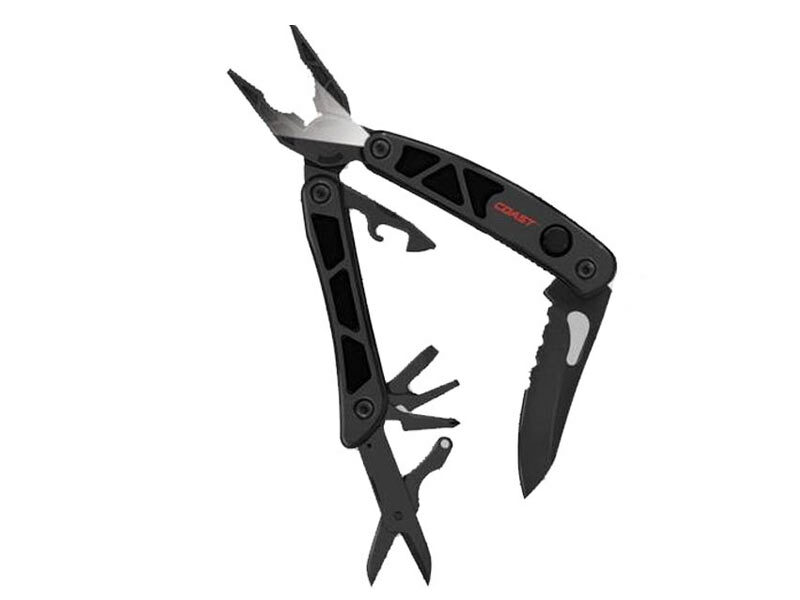 Free shipping - Coast's C5899 LED Pro Pocket Pliers multi tool is packed with practical tools and 2 built-in LED lights to illuminate work surfaces & great for working on the car, under the sink or other tight spaces where light is needed. A practical tool great for working on the car, under the sink or other tight spaces with 2 built-in LED lights to illuminate work surfaces. Coast's C5899 LED Pro Pocket Pliers multi tool is packed with practical tools and 2 built-in LED lights to illuminate work surfaces & great for working on the car, under the sink or other tight spaces where light is needed.